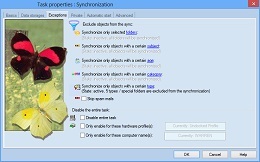 This may seem a bit cumbersome, because you have to create a task first, but keep in mind that Easy2Sync has its focus on synchronization. 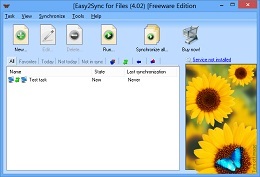 And that this feature is a free spin-off which is also available in the unregistered version. 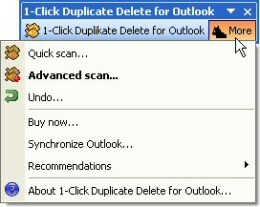 If things are a bit more complicated, we can now offer a new product, 1-Click Duplicate Delete for Outlook. It’s lightning-fast, recognizes not only real duplicates but also objects that are “similar”, is integrated into Outlook and offers a convenient “1-Click” mode.